The British Challenger 1 Main Battle Tank was only a temporary stop gap for the British Army. They had been using the Chieftain MBT since the mid 60’s. A new pioneering type of armour known as ‘Chobham’ had been developed by a Dr Gilbert Harvey at the formerly known ‘Fighting Vehicles Research and Development Establishment’ in the UK for the British Army. The Chieftains were ageing and the British Army needed a new MBT that could be fitted with the new armour. 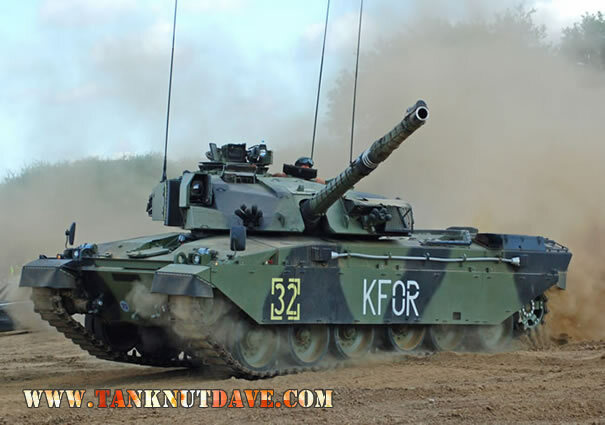 Their had been British replacement programs such as The FV4211 Aluminium Chieftain, The FMBT Program and The MBT80 Program but were all cancelled or failed to reach the prototype stage, leaving the British Army with out a replacement until the 1990’s. Whilst this turn of events had been occurring in the UK, Iran had been the main export customer for the Chieftain Tank and had placed additional orders for 2 variants built for them known as the ‘Shir 1’ (125 ordered) and the improved ‘Shir 2’ (1225 ordered). The Shir 1 had started production, however following the 1979 Iranian Revolution, the orders were eventually cancelled. The British Army picked up the order for the Shir-2 in limited numbers as it could be fitted with the new Chobham armour and retained the L11 120mm gun of the Chieftain whilst a development program still continued for a new Chieftain replacement. Its understood that the tank was originally called Cheviot, but was officially designated the Challenger. The British Army took delivery of the Challenger in March of 1983 from the manufacturer at the time, Royal Ordnance Leeds. In total 420 Challengers were built and production ended in 1990 with Vickers Defence Systems, who had bought ROL in 1986. The British Challenger 1 Main Battle Tank enjoyed a short turbulent career with the British Army, but it did make it into the record books. During the Gulf War, a Royal Scots Dragoon Guards Challenger 1 destroyed an Iraqi T-55 at a range of 4.1km (2.54 miles). In preperation for the CAT 87 shoot, both the Royal Hussars and the 2nd Royal Tank Regiment put together a team and both practised for the competition. 2RTR were the better team and were expected to be chosen as the British entry. How ever amazingly the team to enter the competition was picked out of a hat! and a very surprised RH team went into the competition. A large amount of statistical information was sifted through and it was thought at the time that, although it was not possible to win the competition RH may actually get as high as 3 in the end ranking. The 90% dispersion zone of the L11 was quite a bit bigger than most of the targets whereas the rest had guns that had a 90% zone smaller than most of the targets. Even if the Challenger and crew performed at 100% efficiency they could not win. In the run up to the 1987 CAT shoot, the Challenger 1’s for the competition were up-grade and modified. The chase mod fitted to the breech mechanism meant there was no need to close the breech before making the Loader’s guard, shorterning the loading sequence as the breech closed as the guard was made. This system is currently used on the Challenger 2. On paper it was an excellent system and similar to that of the system now on the Challenger 2, except the technology of the day couldn’t quite make it work, how ever It did take a bit of getting used to and on the first real competition run, the RH crew achieved a score that was thought to be nigh on impossible. Despite its short service, it saw action in the Gulf War, when 180 of them were deployed and destroyed over 300 enemy tanks with out a single loss. It then went onto peace keeping duties in the Balkans through out the mid to late 90’s. 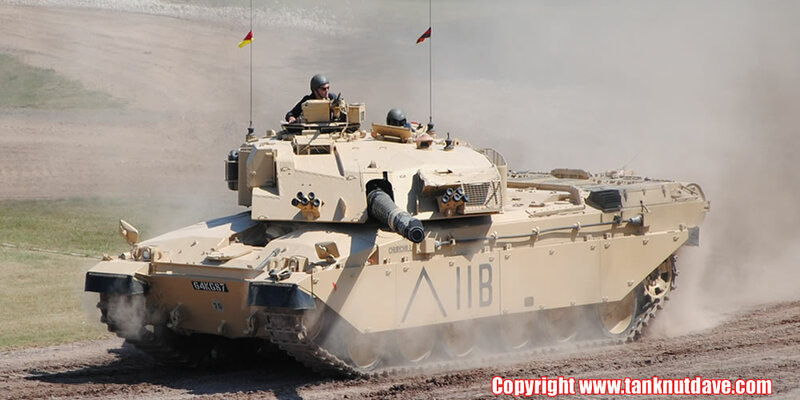 By 1989 development of the Chieftain’s replacement was in full swing with nine prototypes built by VDS, with full production starting in 1993, which slowly entered service of May 1994 and was called the Challenger 2 Main Battle Tank. Both tanks only share 5% of common parts and are not the same tank, nor an upgrade. The original idea by the Ministry Of Defence, was for a mixture of Challenger 1’s and 2’s within the British Army, but this was dropped, additional numbers of the Challenger 2 were ordered and the Challenger 1 was phased out of the British Army by 2000. Some are in British museum collections, gate guards on UK bases and 1 is confirmed in a private owners British collection. Most of the Challenger 1’s of the British Army were sold on to Jordan who call it the ‘Al Hussein’. They were ordered in 1999 and 392 remain in service. Since 2003 Jordan has been developing a new turret, which has an autoloader and 120mm smoothbore main gun to retrofit on Al Hussein hulls called The Falcon Turret. The Private Tank Car Crush Driving Experience totals three activities, which include driving and a car crush on the morning or afternoon of your choice. Then the best bit, blast over a clean complete family Saloon in 56 tons of Chieftain Main Battle Tank!